Across the Star Wars saga, Imperial walkers have formed a key part of the Empire’s ground-based operations. The Imperial assault on Hoth was spearheaded by massive AT-ATs, with lighter, more mobile AT-STs providing flank support. Though All-Terrain Scout Transports (or AT-STs) may lack the sheer firepower and impenetrable armor of an AT-AT, their mobility and ease of deployment makes them a favored option for any Imperial general. Soon, you’ll be able to bring your own AT-STs to your games of Star Wars™: Legion! 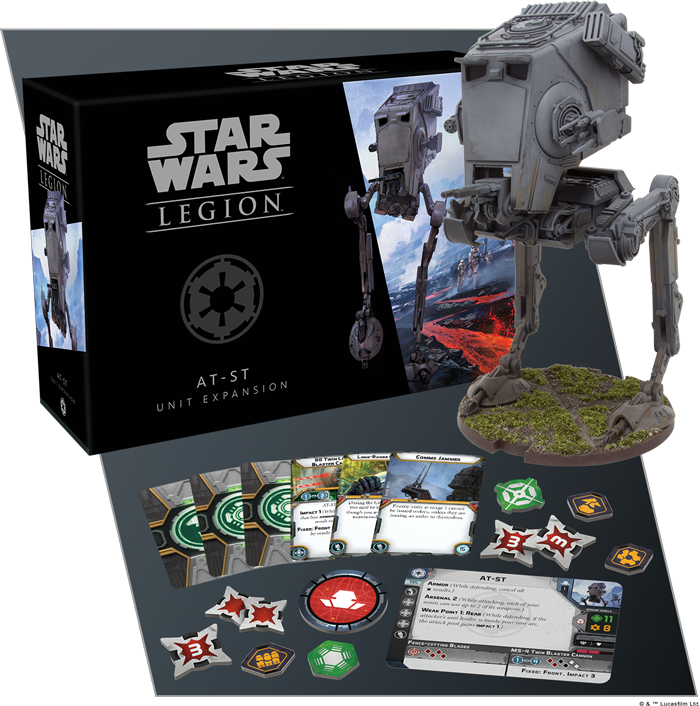 Yyou can pre-order your copies of the AT-ST Unit Expansion online today! In a game of Star Wars: Legion, an AT-ST holds the heavy rank—a rank that’s well suited to the AT-ST’s towering size and intimidating firepower. A standard Star Wars: Legion army can only include two heavy units, and in truth, you would be hard-pressed to include more than two AT-STs among your forces. Coming in at a base cost of 195 points, a single AT-ST takes up almost a quarter of your full allotment of 800 points in a standard game. Between nearly unbreakable armor and an undeniable assortment of firepower, it’s plain to see that an AT-ST can have a game-changing impact on the field of battle. How many AT-STs will you field, and how will you upgrade them?